Strong hits, powerful strokes, explosive returns, and smooth serves – these are the moves that make tennis a very engaging game. Wimbledon, Australia Open, and the French Open are three of the famous courts where the top seeds meet each other to compete for the honor of being Number One. The prize money is just the icing on the cake, so to speak, making tennis a high stakes game in terms of money and of reputation. 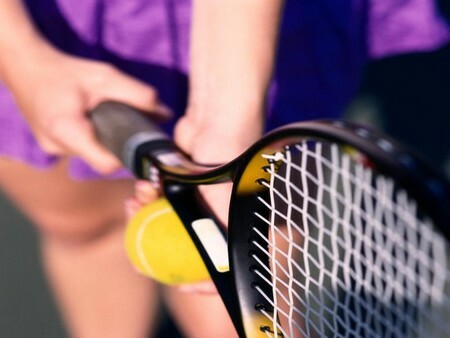 Along with golf, tennis is considered a sport played by the rich and famous, and Society’s elite. The reasons for this kind of perception of tennis are probably entwined with its history. It was a surprise to learn, however, that its origins were religious. Based on the construction and appearance of early courts, tennis may have been played by monks in cloistered monasteries to pass the time and for exercise. At first, uncovered and unprotected palms were used to hit the ball. However, too many accidents and injuries resulted from the practice that players later played with leather gloves. Yet, the injuries remained constant because the early balls used were made of wood. Therefore, instead of gloves, the players began playing with wooden racquets with handles for effective hitting and serving of the ball. In the 16th century, the game was played in an enclosed area instead of the outdoors as what the earlier players were wont to do. By this time, the rules have been established. From the monastery, tennis spread in popularity to the royal courts. Medieval French royalty developed the game of tennis. During Henri II’s reign, the first known book about tennis was written by a priest. Two royals have died from tennis related complications – Louis X of a severe chill after playing and Charles VIII after being struck with a ball. These did not stop the royal players from continuing to push for the growth of Tennis as a game. King Charles IX created the first pro tennis tour and established the three levels: apprentice, associate, and master. The love of tennis in England began with the Henrys, especially Henry the Eighth who was rumored to have been playing tennis when he had his second wife, Ann Boleyn, arrested and executed. By the time James I was king, there were already 14 courts existing in London. 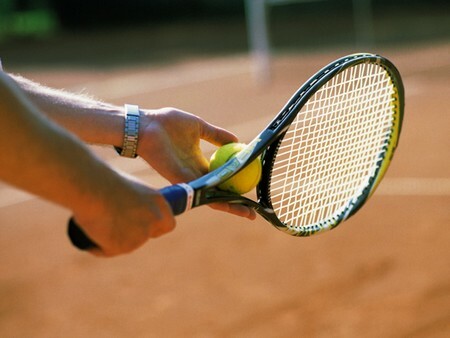 The development of modern tennis, however, began with two military men, Majors Harry Gem and Walter Clopton Wingfield, who combined elements of rackets, Pelota and croquet, and based the game on Real Tennis. 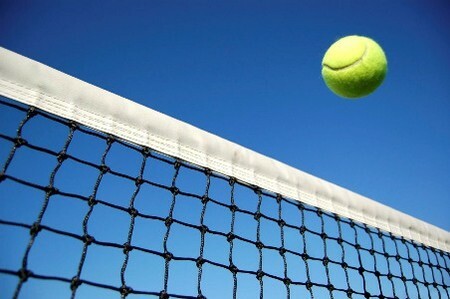 Based on his friend’s suggestion, Wingfield called the game “lawn tennis.” He patented the game in 1874, and published an 18-page rulebook on “Sphairistike or Lawn Ten-nis,” which used modern terms such as Deuce and Love. Wingfield borrowed a lot from the French in creating the terms for the scoring of modern tennis. Deuce comes from “à deux le jeu,” meaning, “to both is the game” (that is, the two players have equal scores). Love is widely believed to come from “l’oeuf,” the French word for “egg,” representing the shape of a zero. The convention of numbering scores “15”, “30” and “40” comes from quinze, trente and quarante, which to French ears makes a euphonious sequence, or from the quarters of a clock (15, 30, 45) with 45 simplified to 40.